Photo of a graduation ceremony facing the stage. Left and right side of photo are backview of graduates in their cap and gowns. 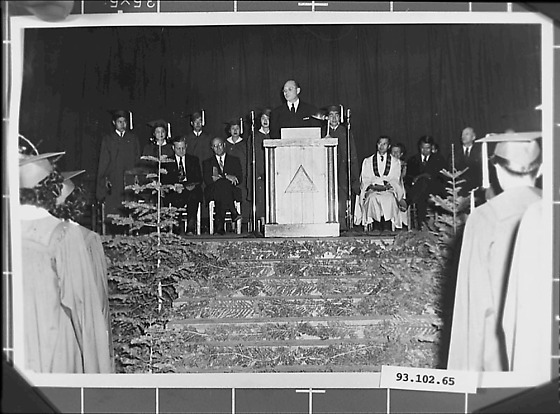 On the stage is a podium with a gentleman standing behind it. Also on stage are people seated and more graduate students in cap and gowns standing behind them. One of the persons seated is a Buddhist minister wearing a minister's robe.